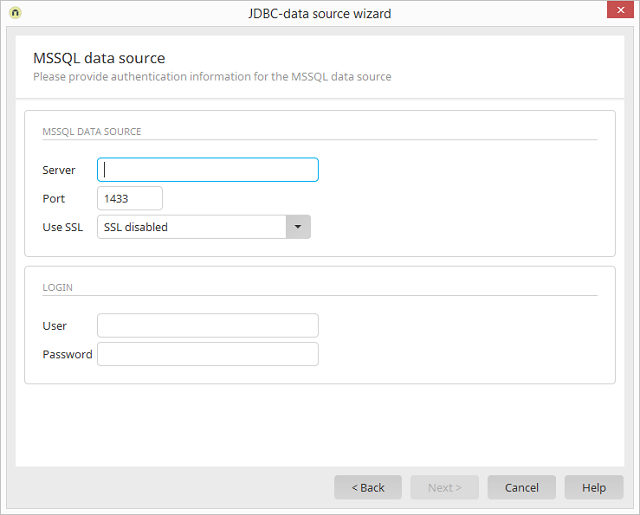 Integration module Create Data transfer General settings / Type of data source: JDBC Source - JDBC database / Click on Wizard Select driver Microsoft SQL Server / Click on "Next"
Enter the name of the server here. The communication port of the database is entered here. Here, you can select whether SSL should be used. If the SSL uses certificate validation, please upload the certificate to the Portal properties / Certificate store before creating the connection. Enter the username and password of a database user.